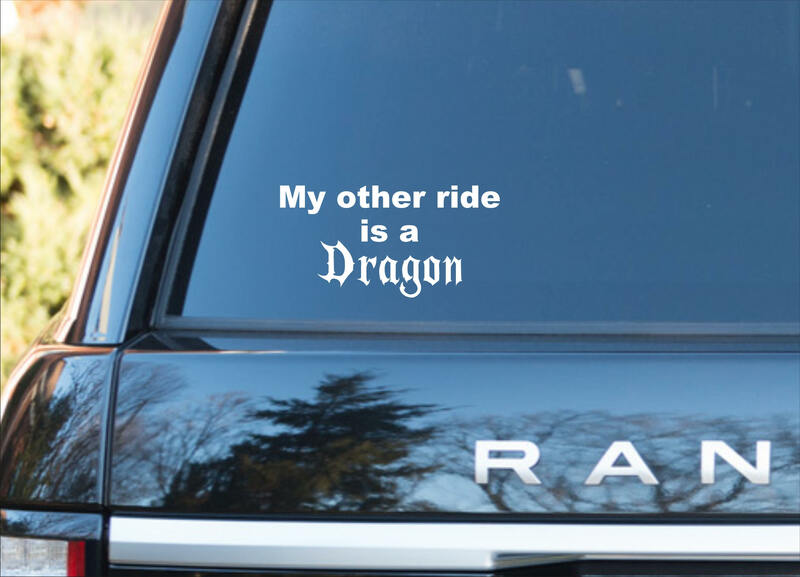 "My other ride is a DRAGON" vinyl decal- A very popular decal! 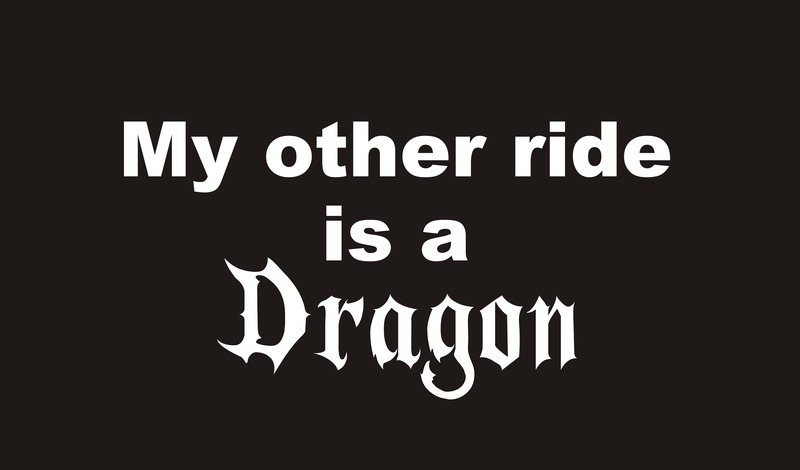 You'll get many looks and comments on this one from fellow dragon lovers. 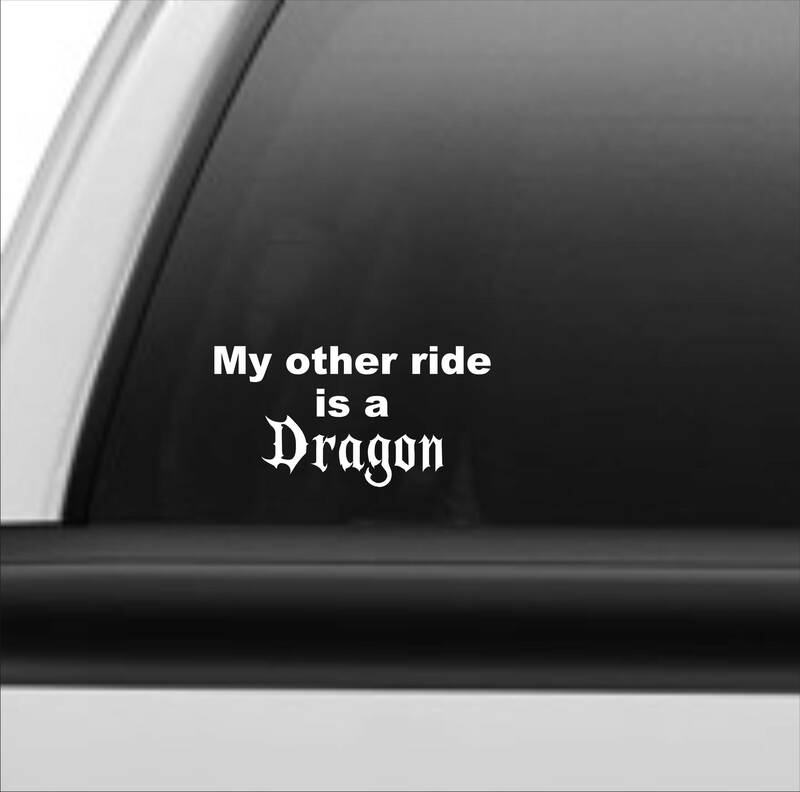 Approx size is 3.5" x 7.5"
We use only premium outdoor vinyl. Water and weather resistant for 5-7 years. Easy to apply and each order will receive application instructions.